Flat, horizontal gardening is so boring. Liven up your garden with vertical growth. The benefits of a vertical garden are plentiful, from greater visual interest to making use of otherwise unusable space. 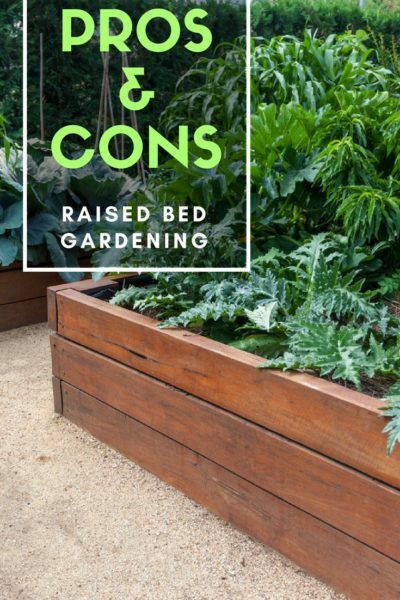 On the other hand, while vertical gardening can be spectacular when done correctly, it may also be a trendy gardening fad with more troubles than you expect. While there are many benefits, it’s important to consider the cons of vertical gardening too. Vertical gardening looks cool. One really simple reason to try vertical gardening is that it adds such great visual interest to a space. Whether you’re creating a green wall or simply growing vines up a trellis, a vertical garden adds a new element to your patio, yard, or even indoor space. Unleash your creativity. Sure, you can get creative arranging plants in beds, but add another layer of creativity as you figure out how to grow up. There are plenty of ideas online for vertical planters, wall planters, trellises, and other unique ways to grow vertically. Use these for inspiration and come up with your own solutions. Grow more in a small space. The most practical of all the advantages of vertical gardening is that it allows you to grow more in a space that is limited. If you have a small yard or garden but want to grow more flowers, herbs, or even vegetables, utilize vertical space. Even the smallest spaces, like a balcony, can be maximized with vertical growing. Everything is easier in a vertical garden. Your vertical garden, once you get it started, will be the easiest part of your garden to maintain. You will have minimal weeds, if any, to pull out, and you won’t have to bend or crouch to access your plants, to water them, or to harvest them. Vertical gardens provide cover and privacy. If you use a trellis or fence, or even create a wall for your vertical garden, you can use it to hide something unsightly, like that big AC unit behind the house. You can also use vertical growing to fill in open spaces and create a privacy shield for your yard, patio, or balcony. Grow healthier plants. Keeping plants up in the vertical space increases airflow and keeps them healthier. Being above the soil may also protect your plants from soil-borne pests and diseases, like fungal and bacterial infections. Moisture and mold. Vertical gardens planted against a brick or masonry wall may drip and harbor moisture that can damage the structure. Similarly, a vertical garden planted above a deck can stain and discolor whatever lies beneath. Vertical gardening is best around concrete or other building materials that are impervious to moisture. Bugs and germs. Vertical gardens can be home to water-borne pathogens that flow from the top of the plant to the lower foliage, then spreading to neighboring plants and soil. Remember that splashing water spreads germs and disease quickly. On the other hand, pathogens spread more slowly in soil, limited by how far moisture seeps or mud splashes. Sun blockers. When it comes to vertical gardening disadvantages, keep in mind that vertical gardens are tall structures that may cast shadows over lower-growing plants. If you choose to grow a vertical garden, consider the needs of plants that may be prevented from receiving adequate sunlight. Consider shade plants, if necessary. Increased maintenance. Vertical gardens generally require more maintenance than plants in the ground. Plants in a vertical garden generally need more water and may require more fertilizer since they are often exposed to the drying effects of wind and sun. Many plants will require regular pruning, and an indoor vertical garden will probably require hand pollination, a rewarding job that can be very labor intensive. Lack of support. Vertical gardens may not be sturdy enough to support large plants such as wisteria vines, melons or tomatoes, although they may work well for sweet peas and other lighter plants. If you want to grow heavy plants, you may need to anchor the set-up to a more substantial supportive structure. This complication is one of the many downsides of vertical gardening. Do Downsides to Vertical Gardening Outweigh the Pros? Vertical gardening pros are not limited to those listed here. There are many more reasons to grow up and not just out. Find the reasons most important to you and then run with it and enjoy your new, multi-dimensional garden. Don’t jump into vertical gardening until you have a thorough understanding of maintenance requirements, potential problems, and other good reasons not to plant a vertical garden. If your garden lacking a vertical element, you could always consider columnar evergreen trees or tall, bold ornamental grasses.